The public held its breath yesterday as news broke of the most momentous event in recent memory—one whose outcome would forever change our world. It had nothing to do with international diplomacy in Singapore, or the escalating trade war that could reshape North America’s economies. It was, instead, the story of a humble raccoon that somehow found itself climbing the great heights of an office building in downtown St. Paul, Minnesota. As we covered yesterday, the brave bandit seemed to be having an okay time clambering up ledges and presenting himself for photo opportunities, but the obvious worry remained: would this sweet little idiot be okay? Thankfully, we can now report that all is well. The raccoon is safe. He has been captured. He ate some cat food. The full details, as reported by Minnesota’s Star Tribune, are riveting. We’ve learned that the furry scamp finished his ascent of the building around 2:30 am this morning “in the cover of darkness, ” reaching the roof where animal control had lured it with food-baited traps. It’s also referred to as “he” in the story, which is unimportant but may help fans better construct their fan fiction going forward. A video clip of the raccoon reaching the summit of his personal Everest, helpfully scored by the Mission Impossible theme, has also been shared by Minnesota reporter Alicia Lewis. Following in the model of Tom Cruise himself, the stunt captured on film here is both extremely real and very irresponsible. 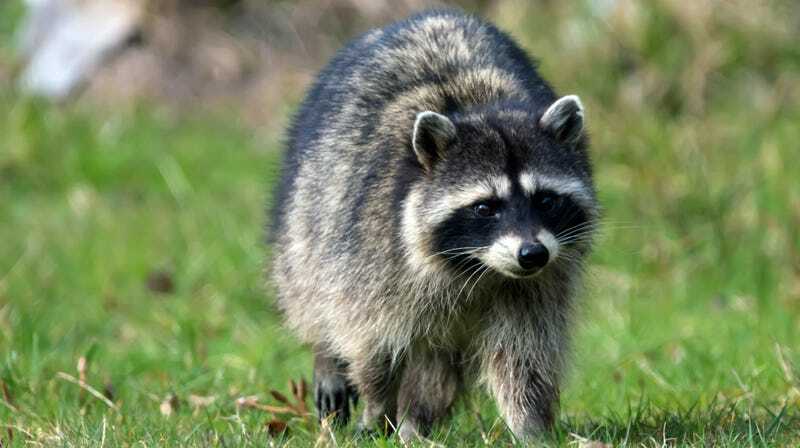 We can all breathe easy now, enjoying a happy ending to this story, and knowing that the raccoon will soon be back to its normal raccoon life, scarfing garbage to its heart’s content and impressing its pals with chittered tales of the day in mid-June when it became a star.